HE280 Repair Kit solved my last problem. Is there a 3rd party extruder for Eris? Where can I buy a new heater resistor? The value of the mine has increased from ~47 ohms to ~148 ohms. I believe this was caused by a chip in the resistor at one end where the hole in the aluminum block is dimpled in to stop the resistor from sliding through. This helped the temperature reads correct now. The heater still stays cool(23C); voltage stays at 0V on heater (47ohms) with or without the Red LED lite on the head. I did the firmware restart commands. Eris has no SD card to try. The "Get Firmware Revision" dims for 2 seconds and the USB LED blinks but no popup. Stays at 290C and wait to drop to 200C forever. 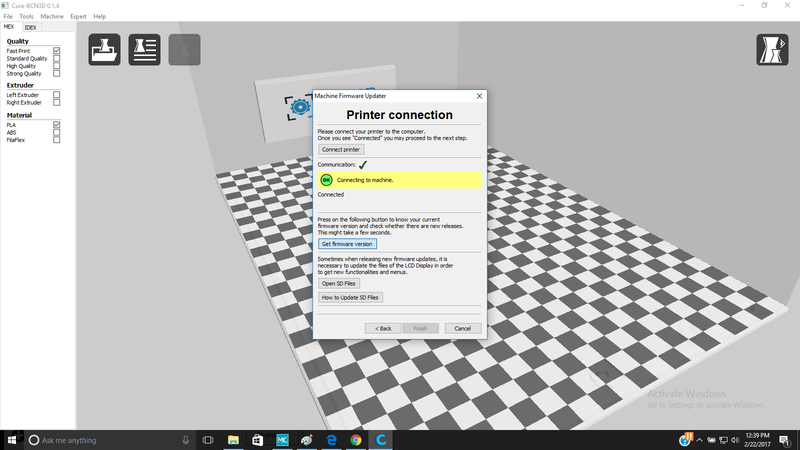 Cura hangs retrieving Firmware version. Eris has SD card to try.